Years ago, I was at my favorite resort in the Smoky Mountains. Three days of no laptop, great food, hiking, massage, and unparalleled views. On the first afternoon, I was tooling around the 4000-acre farm in my own private golf cart while my husband hung back at the room to read his book. I swung by the barn so I could hang out with the horses and say hi to the cats. As I jumped out of the cart, one of the horses approached me. I took a moment to center myself. I hesitantly stepped near him. “Hey, dude,” I said. He looked at me with his big sweet horse-y eyes and moved his giant head over toward me. How cute. I rubbed his cheek. He paused for a moment and leaned into my hand. He pushed again. This time he leaned into me more. He almost knocked me off my feet. It made me laugh out loud. A woman approached us. She was apparently in charge of the barn – as well as the horses, the hay, the cats and everything else here. Well, there’s a big surprise, I thought to myself. I had been through months of difficult growing pains as a business owner – and boundaries were among the issues I had dealt with. So, now that I was on vacation, the Universe decided to have some fun with me here too. Truth is, I don’t know a single entrepreneur, coach, teacher, consultant, healer or human, for that matter, who doesn’t have to learn the lesson of boundaries many times in their work and lives. In fact, some of the most confident successful entrepreneurs I coach have to deal with boundary issues as they experience more success. 1 – Because (as my coach likes to say) running a successful business is a full contact sport. It requires that all of you – body, mind, spirit – be engaged in the process. This means your personal growth is not separate from your success. As you grow, you must become clear about your standards and boundaries because you will need more energy to manage higher levels of decision-making and work. 2 – Because boundaries are the SYSTEMS that support and manage your empowerment. When you “wing it” without taking the time to ask how you want your life and work to look, then you are asking yourself to live each and every moment in reaction. It can be done – but it takes a lot of energy. This might eventually burn you out. Strong boundaries allow you the luxury of not having to react in the moment because you already know how things work. 3 – Because boundaries are a core issue. Crossed boundaries show you the “stuff” you still haven’t dealt with. In fact, every time you Uplevel, you will often come face to face with unfinished business that must be released so that you can move on. When it comes down to it, however, boundaries are not really about boundaries at all. Boundaries are only the structure. 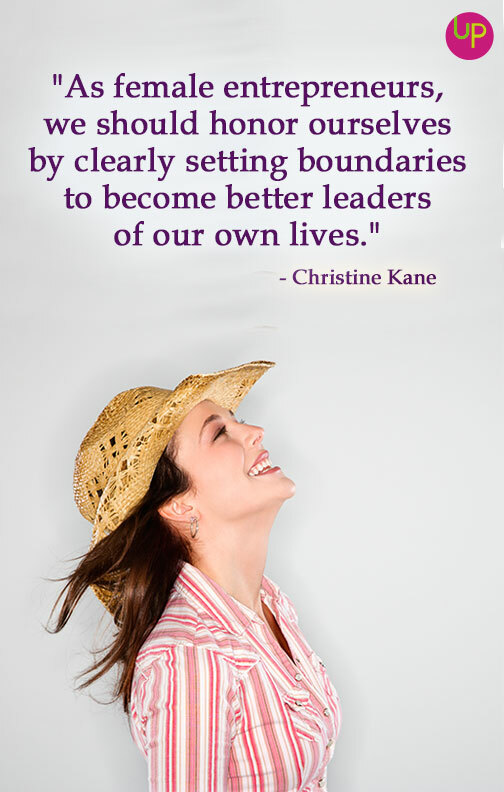 The deeper issue of boundaries is usually about self-worth. And like it or not, this one’s a biggie for many women. Especially women entrepreneurs. It starts harmlessly enough. Kinda like the horse leaning into me. We often don’t even notice it’s happening. For instance, when we get our first clients, customers, sales, gigs, (or even friends) – we might be a little stunned. Little ol’ me? A paying customer? Actual money for what I would do for free? OMG! In those brief moments, we might over-promise. We might ignore a big red flag when someone behaves with a sense of entitlement. We might even alter our work hours (giving up precious family time) to cater to a random request. Over time as you continue to succeed, these seemingly harmless breeches will add up. Your time will no longer be in your control. Ideally, we would honor ourselves by clearly defining standards and boundaries right from the start – as we become better leaders of our own lives. Often, this is uncharted territory for us. It’s uncomfortable. Most of us aren’t used to doing this. If you haven’t done it – then now’s the time. Take some time this week to set some standards and boundaries for yourself, and then challenge yourself to enforce them. Even small changes can create big results! If you need help getting started, here are 5 steps that will help you start setting boundaries with demanding clients right away. Let me know in the comments below if you have ever experienced boundary issues, what you did about it, and if there are questions you’d like to have answered on this topic! Editor’s Note: This post was originally published in March, 2011 and has been given a slight makeover to keep it fresh and current. And so relevant to me at this point! May I ask what one should do -when a patient starts to first idolize you, then emulate you, then think they are you, then they become overly friendly with you – and then end up being overly attached to you – and while they’re trying to listen – they do not do any of the homework they’ve happily agreed to do. How do you set boundaries -so that you can be friends with your patients -and yet not have them take you for granted? Because at this point it gets mighty exasperating and I want to drop them like a hot potato -and instead I’m trying see what they’re trying to help me learn about myself. Setting boundaries – not easy. I get so excited when I talk to new business partners and peers and before I know it, I have blurted out “Sure, we can exchange a coaching session and we can do it tomorrow….” – only to turn around and have to cancel because I over-promised it. Ok I will practice these tips here, Christine, and I LOVE horses. If ever I want to simplify my life, I will be adding animals to it for sure!! Thank you so much for writing this post. I am wondering how this works in a marriage. It’s difficult when you are trying to keep peace…eventhough your feelings are not respected or validated. How do you have a healthy and happy marriage and still have your own boundaries? I did you UYL program and had wished that I had asked this question on one of our calls. I also went to your UYL live last November. I don’t have my own business but felt like I had to get out of my world and expand! hey connie! that’s a huge question! I wish you asked it on one of those calls too! 🙂 With romantic relationships, there are different levels to this because of the amount of old patterns and habits that might have to be dealt with. That said, I’m SO not an expert in this field. And I would refer you to the beautiful work of Gary Zukav or even Harville Hendrix. Or, poke around on amazon and see what’s out there. There are some amazing books on marriage and relationships! Thanks for writing in! Christine…thanks so much for responding and so quickly too! I want you to know how much I appreciate all the work you are doing…especially how you deliver it! I have come to the realization in recent months that I have never set and maintained the proper boundaries in my adult life with my family (I’m in my late twenties). I have been terrified of making anyone angry with me and as a result this attitude has permeated my business. I’ve struggled with the feelings that I’m not worth what people are paying me (although it’s been quite good) and I have been afraid to stand up for myself. Thanks Christine. I learn so much from you, in many ways. I wanted to thank you for this post. I have been growing my business and decided to do UYB. I have recently experienced a great deal of frustration and overwhelm over the past week and what I have realized from this post is that I have very poor boundaries around my time and schedule. This is huge for me to realize that this a deeper level of looking at self worth and the value of my time! I am looking forward to tweaking my schedule and time…I think it will help me feel less frustration in the long run! Thanks again, Christine! Thanks Joanne! This is one of the BIGGEST issues to deal with when you provide a service of any kind. I can promise you from experience, though – it’s totally do-able and you WILL learn how beautiful it is to model strong boundaries for your patients! I love this post! so much to learn in the beautiful and unexpected places. 🙂 It was great to read Jill’s post right up at the top, too, because my struggles are often around pricing and holding firm. 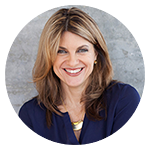 I know I’m in line with reasonable rates for the coaching industry and I know I provide tremendous value, but I am still learning how to feel confident about my marketing. I had a huge breakthrough recently where I was speaking with a potential client and she asked and I gave my rate without the usual internal flinch, but even better and probably more important was when a FRIEND asked what my rate was and I FELT apologetic but I didn’t actually hurry to say, “but you’re my friend so you can pay less”. I just gave the regular rate and kept going in the conversation. I have been offering two “levels” of coaching but what I’ve observed is that I only like to provide the higher level of service and so I end up overextending myself when people are signed up for the lower level because I still want them to have the optimum experience–and I think I’m way WAY more effective that way. So again boundaries–I need to find things to offer that feel like they’re fully in integrity with my best work. .deep breath. here I go! Christine, as ever you are on target about what so many growing business owners are facing. One boundary point came at the time I needed to find someone else to help perform some social marketing for me. I am seeing more people visiting my website and more networking is taking place. It still is a work in progress but best of all, I am giving myself more time to devote to myself and my business. Thanks. Yes boundaries are necessary. For me, one of the ways I have used to set boundaries is to just say “No”, in a nice way when I cannot move an unexpected request to the top of my priority list. I let the customer know that they are important, yet I have commitments to others who are equally important. I assure them I will address their request as quickly as I can. I sense they appreciate the fact that I wouldn’t let someone else move to the “front of the line” if I was already engaged working on something for them either. This is great, you nailed it. Boundaries are key for so many reasons and sometimes it is difficult to put them in place. I guess the truth is you have to listen to your intuition when someone is pushing your boundaries in a way that does not resonate with you and then have the courage to tell them. I can so relate to this topic, I started an online business about 2 years ago that was doing well and I was going along fine then it suddenly became extreemely popular and very very busy. I had many of those requests to do special things, rush things, things because people forgot at the last minute, and found myself at first feeling on top of the world, the it got busier, and after I got thru that I was starting to feel overwhelmed and like I had no life at all. I live for others, at their whim, they were surely controlling my time and my life and I was letting them and it had reached the major stress level in my life and I had to either make boundaries or go crazy. I had heard a line in a podcast that said just because you can doesn’t mean you should. That made me think more about what I needed to do for me. What I wanted my life and my business to me and work to live that model. I began to made some boundaries, which werent easy at first, but I stuck to them and now I have both a business and a life and can manage both much easier. I find I dont react instead I think of whether this works for me and my business at this time and decide rather than react. I really appreciate your post. It shows that you don’t have to comprise your values for dollars! The thing with boundary crossers is yes they do creep up on you. Before you know it you are in quicksand. The important thing is to take notice of the niggling feelings you get at the start. If things don’t feel right or you have doubts take note and be wary. It’s a hard lesson to learn when you are an open and trusting person. But really your intuition is always right. 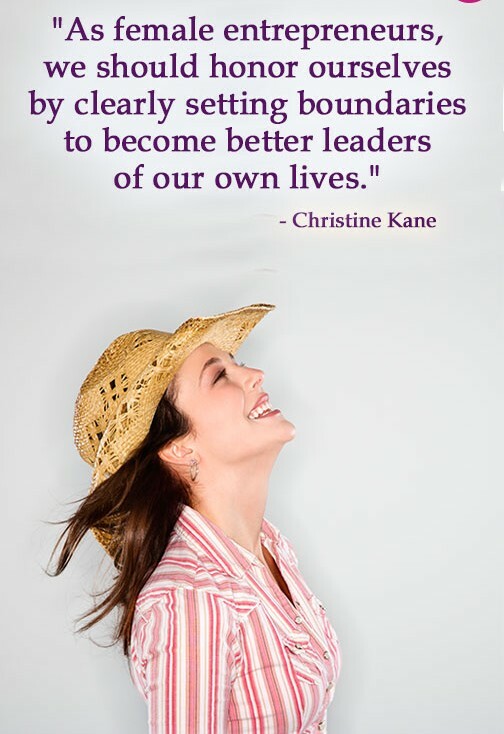 Thank you for these words, Christine and Janet. Honestly. It’s exactly what I need to hear today. Thank you, thank you, thank you. It’s great to have faith that everything will work out as it should. works, it gives me clarity and I also listen to Tony Robbins Subliminal success tapes so that any obstacles that occur don’t rock me too much beacause I have lots of confidence that things will go well. Do you believe in listening to subliminal tapes? I even play them to my students during their art lesons. Nice site Christine and thanks for answering. I feel like an interloper to some extent…yes, i’m a guy. But felt compelled to respond and comment after reading your blog and the most insightful replies from your readers. I’m a speaker, writer, coach and horseman from little ole Hye, Texas. Your message is universal and cross-gender to be sure. To you and yours, check out my friend and colleague, Julie Puentes at her website, http://www.leadershipbridges.com and learn more about the horse/human connection. And come visit us…www.albertexas.com! The horse was testing your boundaries? How did you respond? Hey Rebecca! — see above! Point two is the one I need to learn. I wing it all the time. I never set goals and even if I do, I forget them. But having it explained that its reactionary and exhausting really sheds light on it. Managing ourselves and working on ourselves is what it’s all about! This is a very timely post for me, Christine. I’ve recently had an awakening about my prices and services and know that I need to raise my prices and restructure my services. I haven’t set any strong boundaries in this area and almost a year into building my business and it is starting to take it’s toll. I actually had a real aha moment about it and will be working with my coach on figuring it out this week. Go for it Christie! It’ll be HUGE! This topic is relevant to my life, but not in the way it has been to the other commenters. It seems that I have, without meaning to, violated someone else’s (worklife) boundaries lately. He’s very indirect, and in the past 2 weeks his way of showing me that he needs to pull back has been to avoid me and not answer questions, to be brusque, to not come through now with support that he had previously pledged to offer me. I am quite a direct person, so I have had no idea what he is being passive-aggressive about these past 2 weeks until I had a dream yesterday morning, in which I opened a closet door and suddenly all of his unspoken answers to the questions I had asked him during the month of February fell out and landed at my feet. (Once in a while over the course of four weeks, when things seemed to be going well, I had asked him a few well-meaning and direct questions such as, “How do you want things to progress?” “Tell me how you would like our working ‘relationship’ to evolve from this point – should it cease, gear back, continue as is?” “Please always feel that you can tell me if there is anything I’m doing that makes you uncomfortable or that seems to ask too much.” “Please feel you can be open with me, even if you want to complain or criticize, because I prefer that so much over not airing concerns as they come up.” He had not answered the questions, but he kept on acting like everything was fine. I finally wrote him something like, “It looks like you don’t wish to communicate about those issues, but things are still going well and we are getting a lot of good stuff done, so I will assume that everything is okay unless you indicate otherwise.” About a week after that, after some perfectly fine interchanges, he started ignoring me. In the dream, what fell out of the closet and landed around my feet were a dozen objects that looked like semi-polished, heavy pieces of smoky black-colored quartz with lots of sharp edges. They tumbled down the front of me, and I remember thinking I was lucky that they hadn’t cut me on the way down to the floor. I looked at them and knew that they had been all the answers that he couldn’t say aloud to me, and they all said, “No, I don’t like this, I am not happy.” As I am a direct person, this type of behavior befuddles me. He and I still will see each other weekly, we still need to have some kind of interaction, but I feel that he wants to completely be distant from me now, without ever talking about it. I worry that the next time I see him in a group, he’ll blank me, and that he’ll make sure not to be alone with me if he can help it. On the MBTI I am a thinking type and he’s a feeling type, which he and I have even talked about in the past (this is the main reason for the questions that I asked him — I think that I anticipated that he’d start to bottle things up and that I wouldn’t be able to “read” him then). I don’t know if he now thinks I have something to apologize for, and he’s just waiting for me to do that (I have approached him in a friendly way on email and he hasn’t responded), or if our previously great working relationship is just “over” in his mind and he doesn’t care (or know) how childish it appears (he’s in his 50s, I’m in my 40s) to refuse to communicate with me. I guess this isn’t parallel to your story about the horse, because it’s not as if the horse kept asking you, “You sure you are okay with this contact? Do you want me to pull back? Do you find my pushing unpleasant?” ha ha. I do think that it’s up to the person who feels that his/her boundaries are being violated to take some responsibility at the time, and to nip things in the bud instead of taking the pressure and taking the pressure with a chuckle and a grin, and then suddenly deciding to be upset and break contact in a huff. You don’t have to make it into an angry contest – you can talk about it, you can walk away (but politely! ), or you can show your strength too if you want to. It’s not always about one person being a bully – it’s about wanting to work/play/interact with someone who is ALSO a substantial, powerful, confident being who understands that not all pushing from one side is meant to hurt, but meant to develop the strength of both, to carry both parties further in their work endeavors/knowledge of each other/success/etc. I am sad about losing the connection I had with that man (for a couple of months, we had a great connection and working relationship), but I don’t know what to do. He’s never going to want to explain this to me. When I picked my jaw off the ground, and after I stopped laughing about the hilarious way the universe deals with these things, there I sat, thinking that he had spent even more time working with me than with her in the last few months, that I’d been approaching him honestly, explaining clearly how I was feeling and how I was confused, telling him what sort of information I would like about his point of view, etc., yet he’d simply ignored me! He knew I would read this article, and it did occur to me that maybe one of his goals was to intend it as a message to me, somehow… — but I don’t think so, actually. Reading the article certainly compounded my hurt feelings, and although I’m not generally a jealous person, a teeny flare of jealousy did ignite in my heart about that other coworker of his — how he obviously still wants a working relationship with her, and was publicly praising her for doing something that I’d already done with him, yet he ignored me and celebrated her. But overall, I had already taken Christine’s sage advice to “let go” about him, and I have been trying to do that. So…what happened? How did you deal with the horse?! this post is very timely for me. just last week, i had a sit-down talk with myself (hee hee) about establishing boundaries. …why did i have such an urgency to get home? because my second job is that of pet portrait artist. i have my own business, and just became an LLC. i’m trying to grow my business, and on that particular day i planned on doing a lot of work in that regard. don’t you know my doorbell rings? a friend of my husband needed to talk about some problems. and i let him in. and he was there for a few HOURS. i insisted on doing some art work while he talked, but i wasn’t nearly as productive as i’d have been if i was alone. again, i compromised myself to benefit someone else. i CLEARLY need to establish boundaries. i’m thankful for your words. and for you. Beautiful experience to share and horses are truly magnificent teachers. I’ve been in a state of deep learning with them for the past two years (I did not grow up around horses) and I’ve discovered they are masters at teaching lessons on boundaries, leadership and building trust in relationships. Thank you for sharing your experience and how it directly applies to business. I find the lessons particularly helpful as a parent raising a child with autism. Just today, a friend posted a comment on my blog about your article on setting boundaries. I love it and your entire website. I’m in the middle of what I call my March A.M. Bliss Journey, where I’ve set a morning routine for myself and then notice how following it is changing (and bringing up) so many other things in my life. My January journey was on creating space, by decluttering something every day. There is huge benefit to setting structure and then noticing what causes us to want to abandon it. Therein, lies our work. P.S. Here’s the blog post if you are interested in reading it. This has helped me with my boundries and structure as in other areas of my life. I now can think clearly about the small, manageable jobs, and the larger jobs that require more time. It cleared the way for other creative projects. And when I get overwhelmed, I just go to the pantry, open it up, look inside and realize that I can complete a job from start to finish…and relax. So setting boundries for clearing clutter (actually setting aside time to do this, keeping the job manageable and completing it) continues to support my daily-life and work. Susan – clutter is one of my favorite teachers. It shows us so much about where we’re scared to be clear! Kudos to you! horses are SUCH great teachers – they do test boundaries and i’ve found riding to be a source of deep learning. i love this post for the way it demonstrates how this lesson about boundaries pops up when we’re least expecting it. even though they are bigger than we are, even though they can knock us down with hardly any effort, horses will respect us when we make clear who is in charge. as someone currently developing several ways to serve the world in a way aligned with my soul, i’m grateful for this reminder. thanks for keeping it at the forefront of my awareness at this very important time. hope you had lots of fun on your vacation. and i love seeing your new Uplevel House, too – congratulations! I always love talking to women who understand horses. I didn’t grow up around them – and whenever I ride or whenever I’m around them, it’s like they just KNOW “hey, let’s mess with that chick.” It cracks me up – but always teaches me something. Hi Christine! Great post! This particular topic is very interesting to me, who has just recently taken the plunge into a life of entrepreneurship… Very, very exciting, but also, quite intimidating. I don’t have many customers yet, and money isn’t exactly flowing into my pockets just yet. So it’s very tempting to take on whatever gig, at whatever price the customer is willing to pay. Fellow entrepreneurs in my area are struggling, and are selling there services at very low prices. I have set a clear boundary for my price on personal coaching sessions, even though some people (the strugglers) often argue that I need to lower my prices (even though I am really not that expensive, and I believe I offer great value). Sometimes I am tempted to “do what the others do”, but then again, I did not create my own business to sell myself short and struggle my way through life. I’d like to know: how did you set strong boundaries as to the pricing of your products and services? I get the impression that a lot of women (especially) have a hard time setting clear boundaries when it comes to charging what they are worth. I completely understand the place you’re in. The KEY thing about pricing is to really learn how to market well, and stand strongly in the value you provide to your peeps. When you said “I believe I offer great value” – that is crucial. Almost every time we raise our prices, we will get pushback. I remember CLEARLY when I was a musician and i was working with a coach who would NOT let me go anywhere for less than what seemed at the time to be quite a lot. Yes, there was a pause in incoming business – but slowly and surely, it began to grow – and then I kept raising that price. My theory is that it has everything to do with your mindset and your own success ceiling. Question: Are you doing your marketing and providing value to people? That is huge. I’ll be posting a free video series in the sidebar here on my blog to teach some basic techniques about this kind of thing too. That might help quite a bit! But yes, this is a big lesson for you. And I encourage you to NOT look around and do what the others are doing. Had I done that, I would’ve never grown past playing small gigs in bars! It’s SO worth it to learn this lesson! Thanks, Christine! Your reply is very helpful to me. Answer to your question: Yes, I am definitely doing the marketing and giving away value to my peeps at the same time. And learning all the time, from people who walk the talk. Thank you so much for sharing your experiences! Christine, that is great advice. As photographers, we are constantly dealing with clients who push back — even passive-aggressively. I can think recently of a repeat client who was giving a compliment but it ended up really bothering me because it implied that he was “in on the ground floor” and that he expected to get a hefty discount whenever booking with us. In response to this, I suggested to my partner that we create a program to offer a modest reward (like a free retouching, or one extra “look” for headshot sessions = roughly 30 minutes of our time) to “affiliates” who refer clients that book with us. We’ll offer this, and stop reflexively slapping on a discount to all past clients who pushback regardless of whether they are helping to build our business. Do you think that’s the right approach? I’m hoping that this program will give us more ammunition when clients like this expect a discount — and of course we’ll continue providing value to our clients on our blog and other places, and we’re trying to educate and market more as well.